Fortune Cove Cabins is pleased to announce the opening of our latest cabin. The "Fir" cabin is beautiful post and beam construction as well. This more intimate cabin has a fully equipped kitchen, master bedroom, pullout couch, wood stove and private bathroom with shower. Perfect for a couple (or two) or a small family. Enjoy your stay at Fortune Cove's "Cypress" cabin. Featuring a fully equipped kitchen, sleeping loft, master bedroom, wood stove and private bathroom to ensure your stay is pleasant and comfortable. 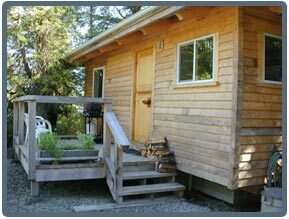 Fortune Cove cabins can sleep up to seven with the provided cot. 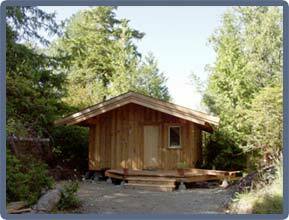 These beautiful post and beam constructed waterfront cabins, situated on the inner harbour of Ucluelet on the edge of town, are nestled in the privacy of the rainforest. Fortune Cove is walking distance to the central core of town and with a bicycle path, and walking trails it offers many options for visitors. 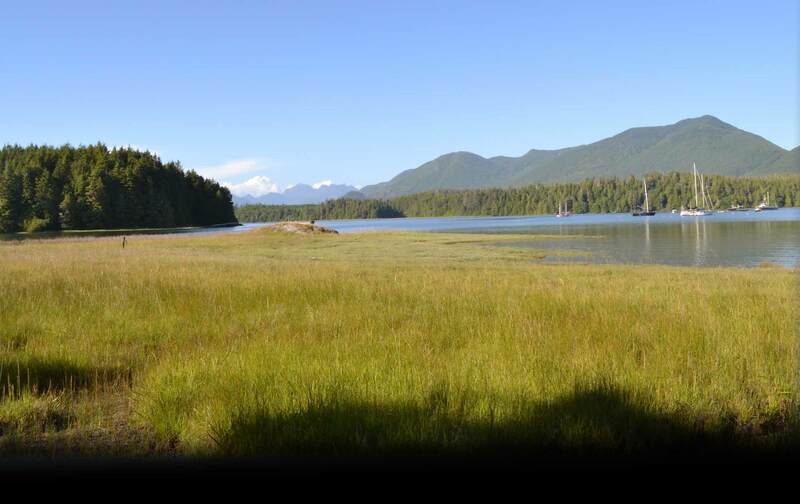 Pacific Rim National Park is just a 10 minute drive and it is also just minutes away from the Wild Pacific Trail. Open year around so you can take advantage of the beautiful weather in the fall, storm watching in the winter, and the whales in the spring.